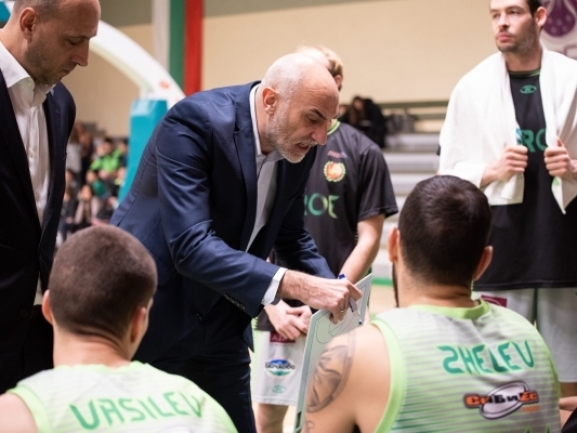 "We started the game much more focused and motivated than the last game in Bulgarian league wihch shows we lacked concentration and mobilization in the weekend. I′m happy with our performance, especially in defense and especially in the first half. After that we started playing slower but this is normal. Dallin Bachynski is not yet ready and for Conner Frankamp our plan was to let him play around 15 minutes because he didn′t practice for a week. We decided to keep Nikolay Stoyanov because he was hit several times in the leg. I′m happy with how young Mihail Kombakov came in but he needs to work for his physical state." "It′s important that we won. We managed to win categorically. We did some beautiful plays as well which the fans liked. After all we are playing for them as well so this is a good thing. I′m hoping that each time there will be people in the stands because this speaks well for what we are doing."